Mainstream media pundits claim that Clinton won the primary and presidential election by three million votes. It’s a myth. They fail to consider the FACT that the recorded vote is ALWAYS fraudulent. 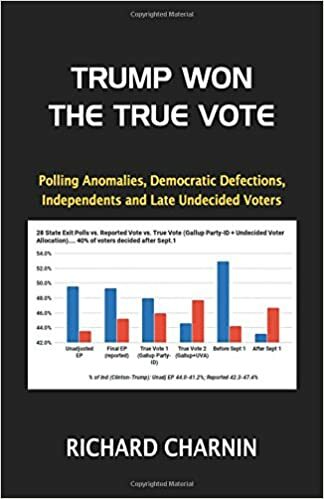 A True Vote Model analysis indicates Trump won the popular as well as the electoral vote. The pundits always assume that the recorded vote is accurate but never consider the fraud factor. The historical statistical evidence is conclusive: every election is fraudulent.